Every year, I send my family a reminder that we do not want any plastic toys or clothes made from synthetic fibers. I wish I could say that they always followed our wishes, but somehow, the message flies out the window when they see some “adorable” plastic thing they think my children can’t live without. My husband has changed the motto to “No More Toys” this year, but the grandparents have already scoffed at the idea. Perhaps I should try sending my family Alicia Daniel’s list to help them make appropriate gift selections. If we are going to tell our children to reduce, reuse, recycle, shouldn’t our holiday gift giving and receiving reflect this practice? How can I subtly send this to everyone I know… especially the grandparents! Thanks for the list of questions, it’s a great starting point. I am with you 100%. 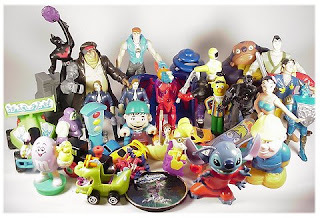 I wrote a blog post about it and said, hands down- no more JUNK toys. My rule is: only give gifts that are hand made or make a donation to my favourite charities. We have too much stuff! As always, we’ll see who listens- some people need to fill their devoid souls through shopping and don’t actually care about what you NEED.